Diana is the owner of a blog called One Broads Journey and an online home decor business called Teluna which is dedicated to creating designs to bring people together over a common cause. 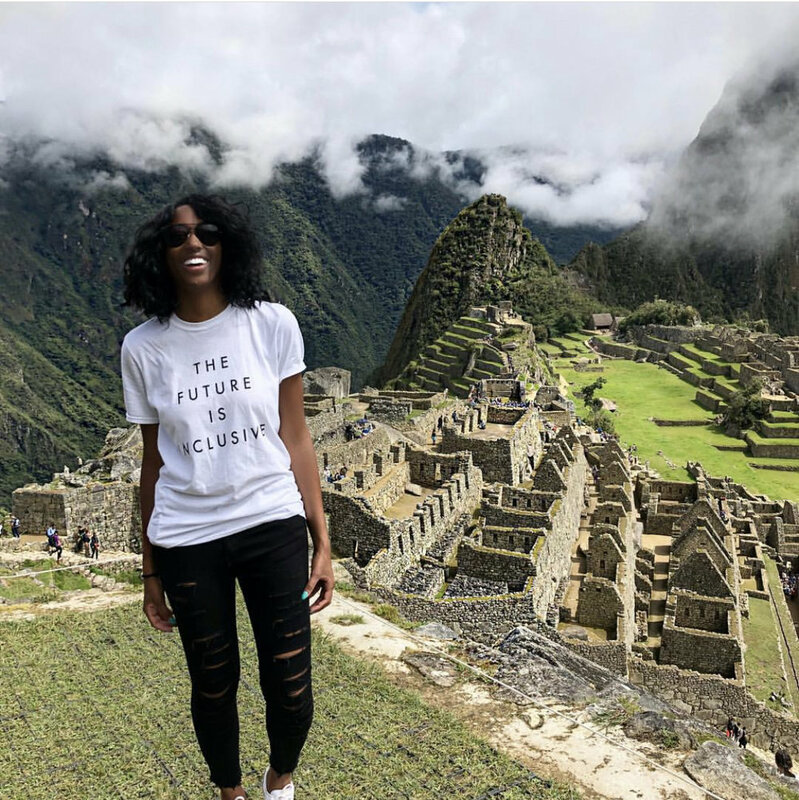 In this interview, Diana shares the reality of traveling as a woman, ways she managed to save money to start her business, and how she plans to monetize her blog in 2018. Check out her interview below. I checked out your blog, and LOVED IT! Could you explain what your blog is about and why you decided to create it? Thank you so much! I first created my blog as a college class requirement studying abroad in Italy. I fell in love with writing about my travels and sharing my photos. 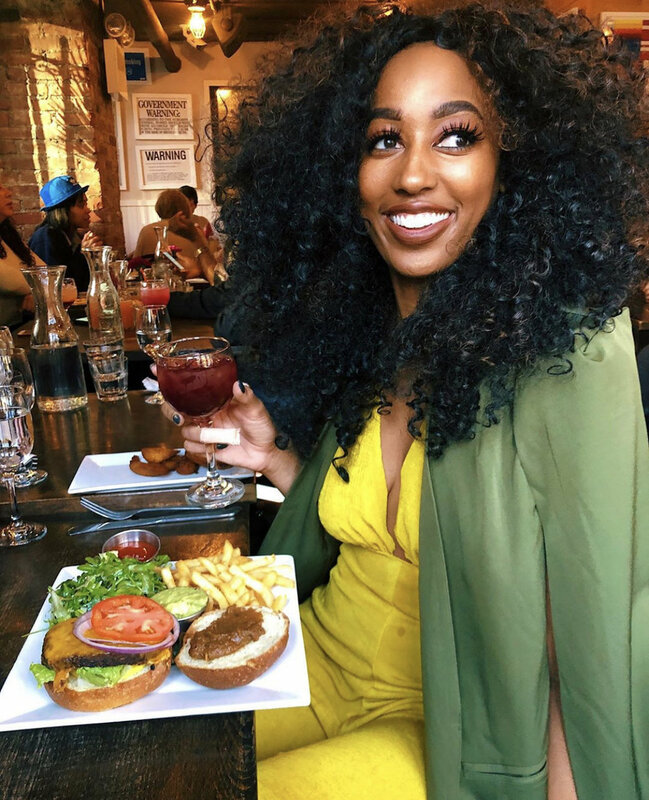 After graduation, I started a new blog which is now One Broads Journey; a lifestyle blog with a focus on business, travel, food, and fashion. I hope to share lifestyle and business tips and ideas to encourage people to live their happiest lives. If I could change just one person's life, whether it's finally taking that dream trip or taking the leap to start their business, I'd be the happiest girl in the world. You technically have two blogs/businesses: Teluna and One Broads Journey. How do you stay organized and manage both accounts? I can barely keep up with one lol. It's definitely a handful! As a one-woman team for both a blog and online business, it takes a lot of planning and organizing to keep things moving. I typically plan each month out in advanced. Everything from post dates, product launches, photo shoots, business meetings and events to even social plans to keep me sane. My planner is my best friend. tell me more about YOUR COMPAny Teluna. What is it....and what organizations does it benefit? Teluna is a home decor company dedicated to creating designs to bring people together over a common cause. Every design is hand drawn or hand painted, and every product is printed responsibly in the United States and crafted by hand in our east coast studio. We give 5% from every purchase to a diverse range of causes in an effort to rebuild lives and communities around the world. Essentially, Teluna allows people to decorate their homes while helping others around the world. We currently donate to Simply Smiles, charity: water, Semper Fi Fund, and Reef Check. What's it like starting your own company? Was there ever a time you thought about quitting? It's a roller coaster. Some days I'm beyond inspired and exhilarated with what's coming next, new ideas, and all future goals and other days it feels like a total failure and has me wondering what in the world I'm doing. I never wanted to quit but I did let a few fails at the beginning take too much time away from working toward my business goals. Waking up every day to continue building something I'm passionate about is a dream come true. I read that you quit your job to focus more on your company. I have readers that are hoping to do the same but worry about the money aspect. What's some advice you could offer about saving up before quitting? Did you keep yourself on a strict budget while saving up...and did you have to work some odd jobs even after quitting your main job to fund your business? I want the good, the bad, and the horror stories! It's really important to have a plan before taking the leap of focusing solely on your business. It sounds amazing to quit your job and jump into your business head first but having at least a year savings and a budget is what I would highly recommend. I cut out a lot of unnecessary expenses and made sure I saved a specific amount each month. You need to be able to cover all your bills plus extra for your company and for emergencies; even if you don't have an income from your business for a few months. I didn't quit my job until it was hindering my business opportunities. For example, having to say no to an Art Festival because I knew I wouldn't have enough time to sew products. At one point I was waking up at 6am to work on One Broads Journey, working as a nanny from 8am-6pm then coming home and working on Teluna until around 2am each night. I was only sleeping about 4 hours a night, but the day I was able to leave that job and work full time on my own two businesses was worth all the hard work and time put in. Don't be fooled though, it doesn't stop there! I still work crazy hours, but at least it's something I'm passionate about. In your opinion, what is the best social platform for new bloggers? Facebook, Instagram, Pinterest? Pinterest! It's such a great opportunity to build group boards with other bloggers and share each other's posts. Pinterest has been my top traffic for over a year now. I have to say, one of my favorite categories on your blog is the Food & Cocktail Section (I'm an avid drinker). Do you make all of your cocktails from scratch? And what's one of your favorite concoctions that you could share with my readers? Thank you! I like to make my simple syrups from scratch and use as many local ingredients as I can including local liquors and bitters. Companies will sometimes send me ingredients to craft a cocktail with, but other than that, the ingredients are high quality and mostly from scratch. One of my favorite recipes I've made was The Perfect Day cocktail. It touches every taste bud with the smoked salt, sweet pineapple gum syrup and spicy jalapeno, really delicious! Also, where are the best places to eat in Texas? If you'll be in Fort Worth, you must hit Coopers BBQ. It's one of those places where you pick your meats and sides and find a communal table to make friends. Make sure you get there early! They sell out of almost all their meats around 5pm. I'm heading to Austin, Texas in May and would be happy to send you more places I discover! I read your post: 5 Things I Wish I Had Known When I First Started Blogging. That post was written in 2015, and I was wondering if there was anything else you would like to add to that list now that you've been blogging a couple more years? It's so funny you ask because that is one post I've been meaning to go back and revamp now that it has been a couple of years. I still stand behind all of these tips except for posting daily. Posting a few times a month and taking the time to make them really high quality and going back and updating old posts is a lot more beneficial than posting daily just to get more articles out. The biggest lesson I've learned is you can read other bloggers "How To's" all day and plan until you run out of ink, but nothing will start building your reader base or earning you income until you start implementing those plans and find out what specifically works for you and your blog. There are so many! Off the top of my head, I love Anthony Bourdain's quote: "Travel is about the gorgeous feeling of teetering in the unknown." You said on your blog you come from a military family. What was it like moving from place to place? And name two or three places you really enjoyed living/visiting? I loved moving. When you move as an adult it's the craziness and fears of finding a new job, new friends, etc. But moving as a child, it was a wonderful experience to discover new places and meet new people. Even as a child I loved to decorate, (stemming from my mother being an Interior Designer. I'm sure), so I enjoyed having new rooms as a blank canvas. I loved living in North Carolina, where most of my family has moved back to; and Maryland, which was home for me for most of my young adult life. Where do you currently live now? I currently live in Arlington, VA. I spend most of my time between here and DC. 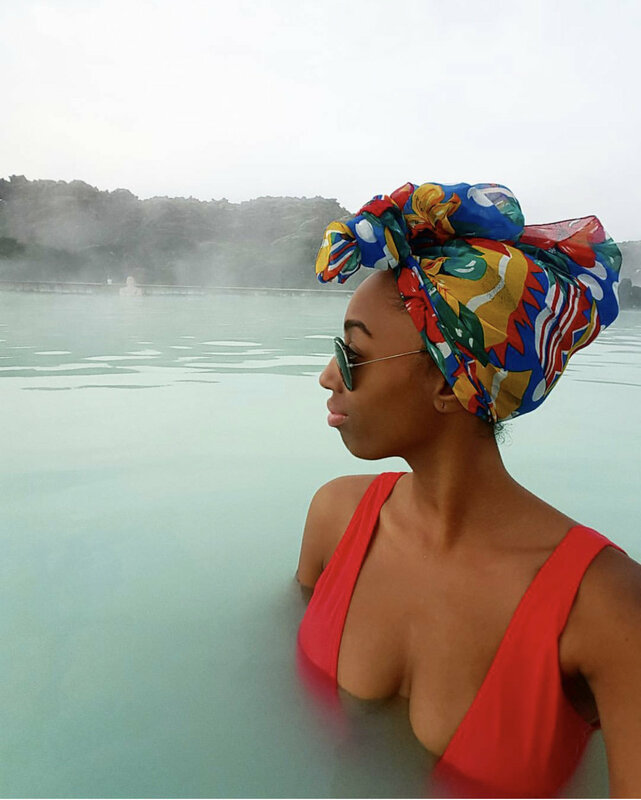 What's the best part about traveling as a woman? What's the worst part? I think the best part is the overwhelming feeling of empowerment that comes with exploring the world. The worst is everyone else's fear of something happening to you. I'm not naive to think there aren't bad people in the world, but I do not have an inherent distrust of others. This past year my friend and I traveled around Europe and not only did almost everyone we come in contact with think we were local,s but when they found out we weren't, they were unbelievably kind and helpful. What do you think is the biggest misconception about women who travel? Like I said earlier, people still hear female travel and assume that it's much more dangerous and people are out to prey on you. When I travel with just another female, locals are more inclined to chat and help in any way possible about what to see and where to go; and not in a you can't take care of yourself kind of way, just trying to connect with strangers. When you're as planned as we were, we had other people asking us for directions and help because they thought we lived there! It may sound silly but having a man next to you, others assume you're taken care of and don't want to be approached. People often scoff when I say that because they say "of course they approach, you're a girl alone" but I think it's more of the gentleness of women that people are drawn to helping them. I like to travel with a very small group, of one or two people. Anything past that is way too much input on decisions, because everyone travels differently. Also, as a travel blogger, you won't find many people that will want to partake in your daily photoshoots and need for taking notes. I'm not one of those travel bloggers that truly enjoys solo female travel. I like seeing something amazing and being able to look to the person next to me and share that moment with them. And when you do travel alone, who typically shoots your photos? Do you ask random strangers....or use a tripod if you're using something other than a camera phone? I like to offer to take someone else's pictures (mostly people trying to take really bad selfies) then ask if they wouldn't mind taking mine. Unfortunately, most people are not going to know how you like photos taken and your tripod is your best bet. I'm always asked about budgeting for trips. What are some great ways to save up for a trip? Or what are some tips to earn some additional cash! I saw you wrote something about surveys...didn't know if you had any other tips to share. Plan your trip down to the details first. Know exactly how much you'll need for flights, hotels, taxis, food, etc. then add about $200 for additional random expenses like gifts or a splurge meal. Then figure out how much you'll need to save each week or month to afford your trip. You can go out less prior to the trip or complete odd jobs like walking dogs or babysitting. Trust me, if you want to go somewhere bad enough, you'll make it happen. I once saved every coin and dollar I found or had left over from a weekend in a jar and bought a plane ticket with my change. I was scrolling through your Instagram and you always look cute! I will need you to send me some recommendations after the interview lol. What's your secret to looking good and avoid over-packing? Do you coordinate your outfits by a color scheme? Or do you shop when you get to your destination? I wish I could say I don't overpack but I'm the worst when it comes to packing! The more I travel, the better I'm getting but it's still heavy suitcases for me. I plan trips down to every detail which makes it easier to plan an outfit for every type of activity rather than packing everything from a ball gown to a bathing suit for one day. As far as looking good (you're so sweet btw) keeping your skin moisturized really helps you feel and look fresh while traveling! I read your "No excuses" post. You shared that you had a lot of life changes at the beginning of the year: quit a job, found a new job, got new man (you go girl lol), took a few trips. What has been the biggest lesson you've learned in 2017? And what goals would you like to accomplish in 2018? Haha first, thank you for reading my crazy rant. I try not to, but sometimes you just have to vent. The biggest lesson I learned in 2017 is to not let failures distract me from my goals. I had some major downs in 2017 with One Broads Journey, Teluna, and my personal life and I let those sabotage my business plans and my confidence. I honestly just stopped working on everything for a year and that was the biggest mistake I've ever made. I learned how to respond to disappointment differently and use those mistakes as lessons to build upon. Putting Teluna products into a minimum of two shops around Arlington and D.C.
How can my readers find you? Instagram/Facebook/Website(s)/etc.? Find me everywhere! I love connecting with others on Instagram, but subscribing to the One Broads Journey and Teluna newsletters is a great way to keep up with everything that's going on and receiving new blogging and business tips, product releases, discounts and more. Below are my handles, please feel free to reach out anytime. If you would like to be the next Traveler of the Week (or Influencer of the Week...I'm interested in lifestyle bloggers, too), please send a message to callmeambam@gmail.com.